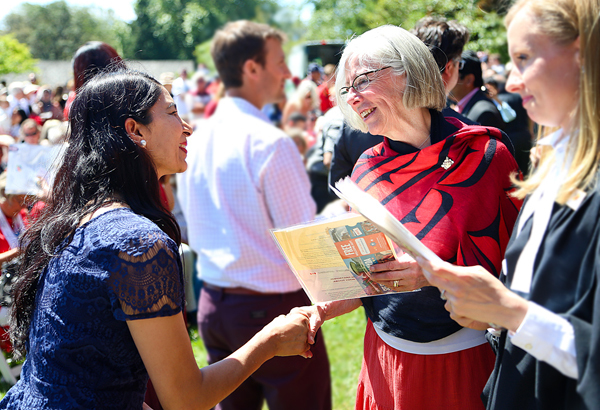 Photo: 2017 Canada Day Citizenship Ceremony at Government House, in which Her Honour presided over the swearing-in of 150 new citizens. Photo by Rachel Rilkoff of Government House. For a short time in late June, all eyes, and much speculation, focused laser-like on Hon. Judith Guichon, BC’s 29th lieutenant governor. Representing the Queen is mostly ceremonial, but the urgent, unenviable task of making a vitally important decision thrust Guichon onto a red-hot seat, under a glaring spotlight. The corporate media pack sniffed, chowed down and quickly moved on to another flavour shortly after she denied then-premier Christy Clark’s desperate, self-serving, 90-minute plea for a snap election. Judith Guichon, BC’s busiest lieutenant governor in decades, was etched into our history then calmly carried on with her own personal goal, which includes visiting 150 schools and pledging to use her position to educate about what we must learn if we are to have a future worth living. She calls them “my three R’s: respect, responsibility and relationships.” Guichon lives and breathes the belief that we have a responsibility to respect the land, and to honour that relationship in order to leave a healthy planet for future generations..
Christy Clark had welcomed her, saying, “She has a deep appreciation for the history and traditions of BC and has spent a lifetime ensuring that we all stay connected to our roots.” In retrospect, our former premier underestimated and misunderstood Guichon’s overriding “appreciation” and “lifetime” of work. Sure, Guichon had been recommended by then-prime minister Stephen Harper and had donated a modest total of $1,350 in 2005 and 2009 to Gordon Campbell’s liberals. Her friends and neighbours note that she leans right, as most of them do, obvious in the recent election, supporting fiscal responsibility and economic diversification. All of which had little influence over doing the right thing. Before she was appointed in 2012, Guichon lived in the Nicola Valley in BC’s interior and owned and operated the Guichon Ranch, as the family of her late husband, commercial pilot Lawrence Guichon, had done since 1878. The couple took over in 1979, the fourth generation to run the ranch. They studied holistic management, focused on environmental stewardship and practised and promoted sustainability that emphasized natural habitat, such as letting cattle graze longer and using less feed. They are credited with introducing healthy techniques to the ranching community. While growing a small parcel of land and a few head of cattle into a sprawling property with thousands of livestock, a general store, post office and a hotel, Judith Guichon, with a neighbour, started a recycling society in Merritt. She played the flute in the Nicola Valley Community Band and spoke up on water issues, served on health boards and task forces on species at risk, ranching and agri-food. She also developed her signature biodiversity program. After her husband died tragically in a motorcycle accident in 2003, she wrote, “The love of my children enabled me to carry on. To say that I would not have endured without them is not overstating the case.” Her current husband Bruno Mailloux and four adopted children carry on while she nears the end of her five-year term. Personally, I never had any doubt that she would do the right thing and I wish I could shake her hand and share a few words, again. Two years ago, in a reception line at the end of her tour of the Gabriola Island Medical Centre, she asked if I wrote the book, Our Clinic, that had just been presented to her. It tells the story of how a community of 4,000 residents and a volunteer army of 170 built a multi-million dollar urgent care health clinic and heli-pad on donated acreage, without raising any taxes. Christy Clark’s liberals chipped in a total of $100,000 at the last-minute. Just as she did as a rancher, Hon. Judith Guichon broke the mould of lieutenant governor by making a decision to invite the NDP and Greens to form government in the best interests of the people of the province. And her story, the real story, is the one to record, share and act on.